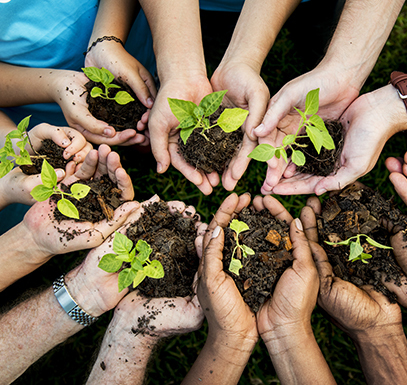 Any easy care choice for sites with poor soil. 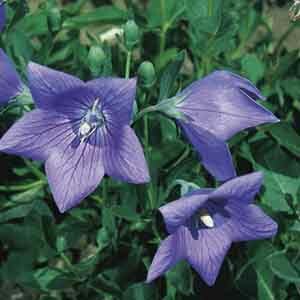 Bright, fringy blooms have a very casual, prairie flower appearance and are highly attractive to bees and butterflies. 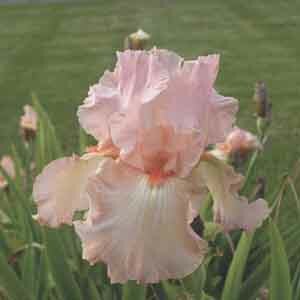 Dwarf varieties are available and taller varieties may need staking to support their flower heads. 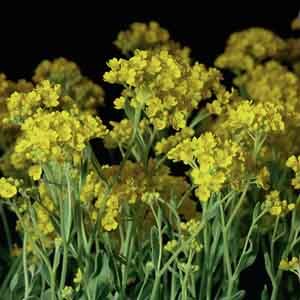 Evergreen foliage, bright blooms and low water use make Alyssum saxatile, more commonly known as Aurinia saxatilis, a multi-season choice for hot, dry planting sites. A simple pruning after the blooms finish is the only attention it needs. 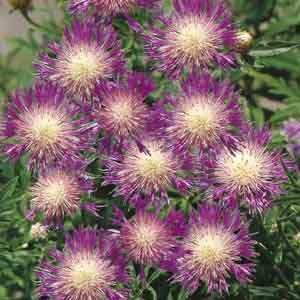 This evergreen selection thrives in difficult locations where other plants fail. 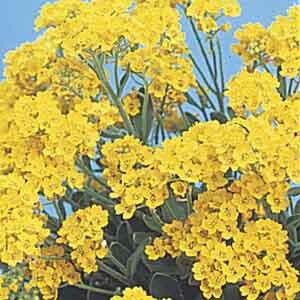 Brilliant yellow flowers are set against dark gray-green foliage. Adds a splash of color to the early season landscape. A familiar source of warm color in the garden. 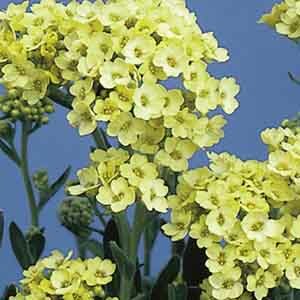 Brilliant yellow flowers are set against dark gray-green foliage. Attracts butterflies to the garden. Adds a splash of color to the early season landscape. 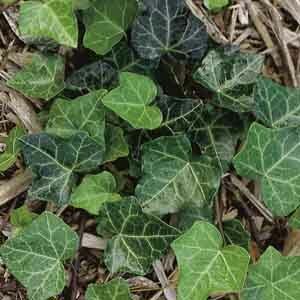 A fun plant for hot, dry locations. 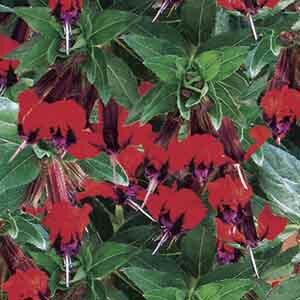 It forms a spreading mound of foliage sprinkled with vibrant red and purple flowers. The common name “Batface” comes from the unusual flower form. With a little imagination the center part of the bloom resembles the face of bat. Large petals create floral artistry of curves and color atop tall, sturdy stems. The germanica species does best in dry, sunny locations. A gorgeous choice for bringing a burst of drama to the garden or a vase. 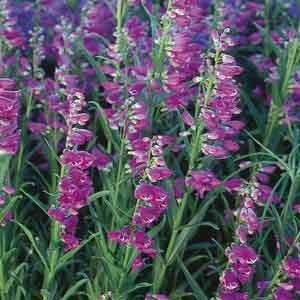 A wonderfully long-flowering perennial, native to the Western U.S. Delicate tubular blooms dangle off long stems, amongst narrow, lance-like leaves. 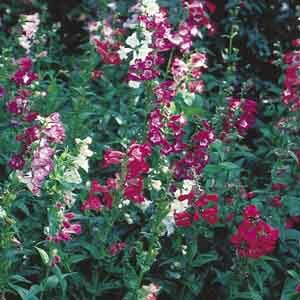 The flowers are a favorite of hummingbirds, making them an even more valuable addition to the garden. This low-maintenance selection is certain to please. Tubular rose-purple blooms are held on thin spikes. The flowers are loved by hummingbirds.